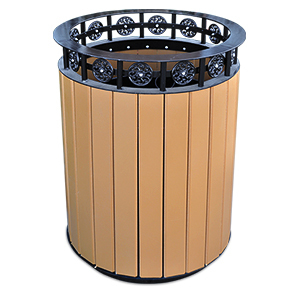 Decorative circles around the black powder-coated steel rim of this 12 or 20 gallon recycled plastic trash receptacle exude quality, style and elegance. It's ready to be an addition to any upscale setting. Plastic liner is included. Some assembly is required.